Fills all types of wrinkles. 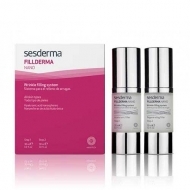 DESCRIPTION: Fillderma One Wrinkle Filling Cream from Sesderma is an anti aging care that fills all types of wrinkles. Formulated with Hyaluronic Acid, Asian Spark and Black Tea, it fills wrinkles from the inside and prevents the appearance of new ones, while moisturizing, and offers an immediate tensor effect. The skin is firm and toned. You should exfoliate the skin every 10 days approximately. Apply on clean face and massage for 2 to 3m to absorption. Finish with your daily moisturizer care. In the maintenance phase, repeat the treatment 3 times a week at night. 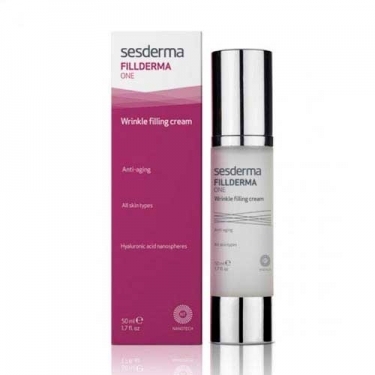 Ideal for those suffering from deep wrinkles.